To appreciate what solar power can do for the planet’s future, you first have to understand what the world might look like without solar’s help. Along with wind power, solar produces the least amount of carbon emissions per kilowatt-hour (kWh) of electric output. Carbon emissions are primarily responsible for the one-degree rise in the earth’s average temperature over the 20th century. While a one-degree rise might not sound all that alarming, even small changes in the earth’s average temperature cause massive environmental changes. Those changes include longer droughts, more frequent wildfires, and more frequent and severe tropical storms according to NASA. Sparing the world of those environmental ramifications means turning to clean, affordable, and sustainable energy sources. By far, solar is the most promising such source of energy. 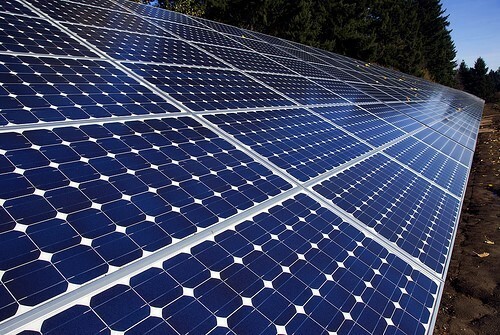 With so many benefits of buying solar panels, it’s hard to find a reason against buying them. However not all of the sellers are legit, check through some past Solar panel claims for some guidance. Read on to learn why the future of solar is a bright one. With how much solar can potentially do for the environment, you might wonder why it’s not ubiquitous yet. Until recently, the large-scale implementation of solar has remained cost-prohibitive. The historically high cost of solar explains why it produces just 0.45 percent of the electricity produced in the United States. However, according to a study by the Fraunhofer Institute for Solar Energy Systems, solar has finally reached the point where it is one of the most cost-effective sources of energy. Recent technological advancements have made solar cheaper than coal or gas in some regions with ample sunshine. For example, in Dubai, parties recently signed a long-term contract for the purchase of solar power for five cents per kWh. Similar projects underway in countries such as Uruguay and Brazil are producing at costs of less than seven cents per kWh. Contrast those costs with those of modern coal and gas plants that produce electricity at five to 10 cents per kWh. Likewise, nuclear plants in Germany produce electricity at a cost of 11 cents per kWh, while large solar-powered plants produce at nine cents per kWh. According to the Fraunhofer study, the cost of solar will only get cheaper in the near future, which is in stark contrast to the steadily increasing prices of electricity produced from fossil resources. In central and southern Europe, for example, the cost of solar will have dropped to four to six cents per kWh by 2025. By 2050, solar will cost just two to four cents per kWh, at which point it would become the cheapest source of electricity available in sunnier parts of the world. Solar power remains the fastest-growing energy technology, with the world’s installed photovoltaic (PV) capacity doubling every two years according to Green Tech Media. If growth continues at that rate, solar panels would supply the entire planet’s electricity needs within the next 10 years. Indeed, the Environment America Research and Policy Center reports that the U.S. could power itself 100 times over with solar. A common misconception remains that the cost of hardware is what has stymied the widespread implementation of solar energy. In reality, solar hardware prices have dropped significantly due to affordable Chinese imports and technological advancements. As companies continue to expand their economies of scale, the cost of solar panels and other hardware will fall even lower. Solar skeptics also overlook the potential of tax breaks and the creation of new jobs to defray the costs of implementing the technology. Generous tax deductions and rebates can minimize the up-front costs of solar, which homeowners can potentially recoup in a few years through energy savings. Likewise, the burgeoning solar sector continues to create thousands of green jobs to bolster the economy. In fact, the Solar Foundation estimates that the Solar Industry is creating jobs almost 20 times faster than the U.S. economy. In very real ways, the future of solar power is the future of the planet. Solar has become more affordable than ever in recent years, and, in many areas, it is the most affordable and most available source of energy. With the cost barrier removed, solar is surely on the brink of supplying a great deal of the world’s power without harming the world’s climate.